55" WIDE If you're not confined to 50" trails the RZR 900 XC Edition is 55" wide and incorporates our optimized track width for loads of confidence in the corners. 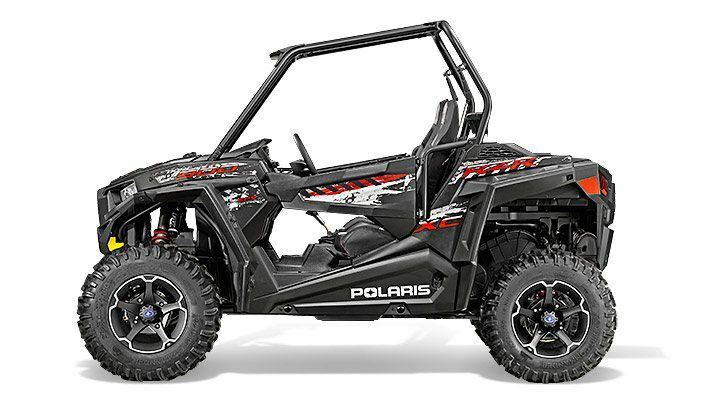 NARROW TURNING RADIUS AND IMPROVED STEERING The RZR 900 XC features a narrow 15.9' turning radius to navigate those curvy trails and 20% faster steering response with an improved 2 turn lock to lock steering ratio. HIGH PERFORMANCE TRUE ON DEMAND ALL WHEEL DRIVE SYSTEM The High Performance True On-Demand All-Wheel Drive System features a close ratio final drive to keep the front wheels pulling stronger and longer maximizing power delivery to the ground on even the loosest terrain. The reduction provides increased traction without sacrificing steering effort to provide unmatched point-and-shoot handling. POLARIS INTERACTIVE DIGITAL DISPLAY The most advanced interactive display on the Market, the Polaris Interactive Digital Display offers a sharp full color screen and loads of functionality. Map your ride or download existing routes from RiderX.com. Toggle through vehicle displays, like speed, tach and odomoeter, and communicate with your mobile devices via bluetooth. NEW! 75HP ProStar® ENGINE The New 75 HP ProStar® Engine delivers the power & acceleration you have been waiting for. 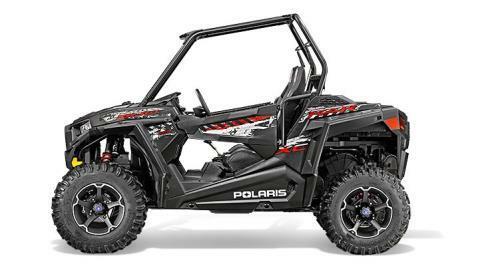 With hallmark ProStar® features like dual overhead cams, 4 valves per cylinder and electronic fuel injection we've upped the torque 14% and increased HP by 40% over the RZR XC 800. HORSEPOWER TO WEIGHT FOR TRAIL PERFORMANCE The modest weight and 75HP ProStar® engine in the All-New RZR 900 XC boasts loads power and acceleration thanks to an incredible power to weight ratio of 6 HP to every 100 lbs of dry weight. 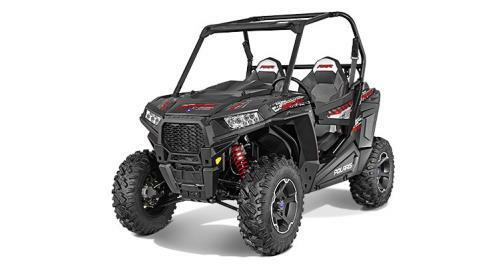 THE BEST ACCELERATION ON THE TRAIL 0 to 40 mph in 4.36 seconds made possible with the 75 HP ProStar® engine. That's lightning quick acceleration taking you from corner to corner on the trail. SUPERIOR TRAVEL AND SUSPENSION FOR THE TRAIL With 10" of suspension travel in the front and rear, and compression adjustable FOX Performance Series - 2.0 Podium X Shocks the RZR 900 XC Suspension can be tuned for exactly the way you ride. Combine the front and rear Dual A-Arms with independent rear suspension, and you've got a performance based machine ready to tackle the trail. UP TO 12.5" OF GROUND CLEARANCE* Up to 12.5" of ground clearance allows you to navigate rocky trails and everything they throw at you with confidence. 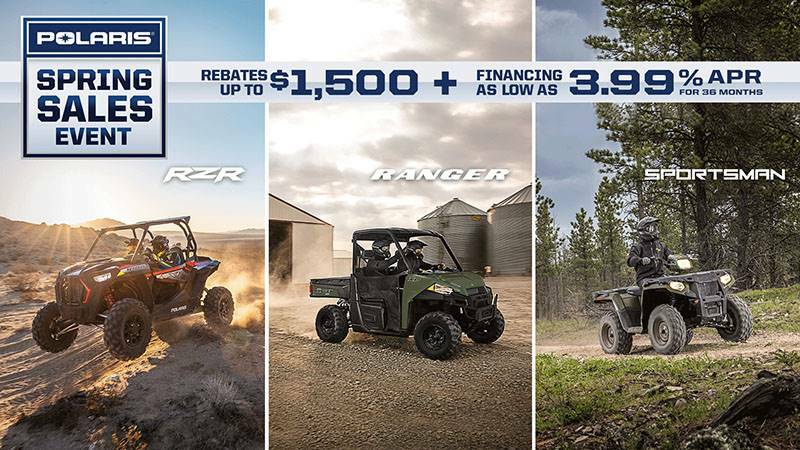 2" LONGER WHEELBASE FOR A SMOOTH RIDE RZR 900 XC features a 79" long wheelbase paired with front and rear Dual A-Arm suspension for the ultimate in trail performance.